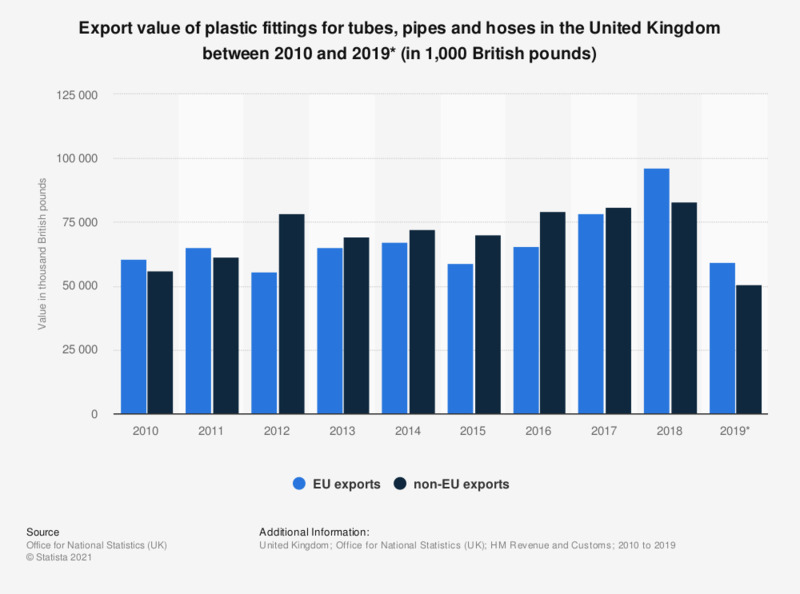 This statistic depicts the value from EU and non-EU exports of plastic fittings for tubes, pipes and hoses in the United Kingdom between (UK) 2010 and 2018. EU exports of plastic tubes fittings reached a value of 78.3 million British pounds in 2017. Plastic fittings for tubes, pipes and hoses, including joints, elbows and flanges.